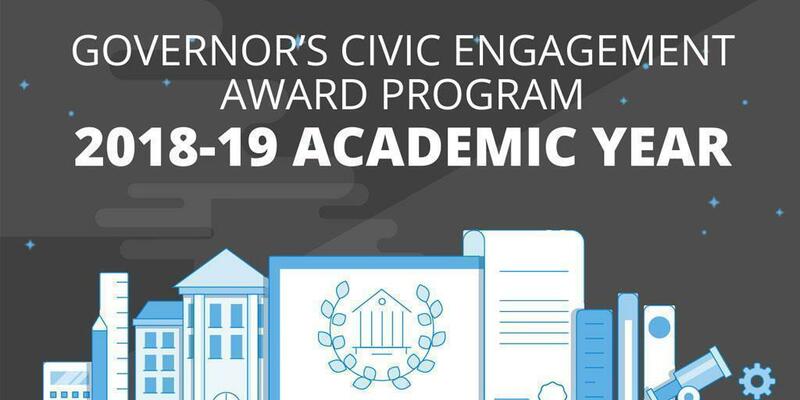 At the midway point in the 2018-19 school year, the Governor's Civic Engagement Award (GCEA) program is shaping up to surpass its success last year with student-led voter registration in Pennsylvania high schools. Since August, 67 high schools have signed up with Inspire U.S., a nonprofit, nonpartisan organization that works with schools to organize voter registration drives. That's more than double the number of schools (32) that signed up during the 2017-18 school year, Pennsylvania's first year with the program. The next goal is to exceed the total of 2,955 Pennsylvania students who registered to vote last school year through the program. Before the holiday break, 455 students had already registered to vote, so we're well on our way. The Department of State recognizes schools for two levels of achievement. Schools that register at least 65 percent of their eligible students earn a Silver Level Award, and schools that register 85 percent or more of their eligible students earn a Gold Level Award. To be eligible to register to vote, a student must be a United States citizen and a resident of their voting district for at least 30 days before the election and 18 years of age by the election. In addition, individual awards will be presented to outstanding students age 17 or older who register their fellow students to vote and also serve as poll workers. The deadline to register to vote in the May 21 primary election is April 22, which is also the deadline for schools to submit their application to receive the GCEA. The recognition is a great way to encourage civic participation among young people, but the real fun comes from the hands-on experience of running a voter registration drive and learning about the voting experience. Inspire U.S. will provide training to student leaders, as well as logistical and material support while they run the drive. As a bonus, schools that sign up can compete for the first Pennsylvania Voter Registration Cup from February 4 to April 26. Schools earn points for helping their classmates register to vote, hosting voter registration drives, planning "get out the vote" activities and applying for the GCEA award. On February 20, Inspire PA will hold a training at the State Museum in Harrisburg from 9 a.m. to 2 p.m. to prepare students and teachers to run successful voter registration and get-out-the-vote initiatives at their schools. Students and teachers should RSVP by February 8 for the training. The earlier a school registers with Inspire U.S. and signs up to participate in the GCEA program, the more time it will have for its voter registration efforts and the better chance it will have of winning an award. So, don't delay. More information is available on the department's website.